Each year when January rolls around, people start making New Year’s resolutions and fitness goals. The combination of trying to work off excess holiday calories, getting in shape for the upcoming swimsuit season and great deals on gym memberships make the perfect trifecta for starting a workout routine. But how many times have you gotten on board with working out and made the commitment to join a gym, only to fall off the bandwagon in a few months and then continue to pay a monthly membership fee for something you’re not even using? Change that waste of money into a productive use of your extra space by putting a workout room in your own home. A home gym is a perfect way to utilize part of an unfinished basement, or a bedroom of a kid who has gone off to college. It’s a relatively easy remodeling project that will be used for years to come. The type of workout you’ll do/equipment you’ll need. Maybe you’re into weightlifting, or maybe you’re more of an aerobics and yoga person. The type of workouts you’ll be doing, and the equipment necessary to go along with them, will help you create the overall plan for your new gym. If you’re planning to include some equipment such as a treadmill and a stationary bike you’ll need to make sure there’s ample space. The amount of space you need. Going along with what type of workout and equipment you need, space considerations play a big part. You might have an entire unfinished basement to work with, but keep in mind that you’ll only be working out for a small part of the day. You might choose to section off part of the basement for your gym, and leave the rest for family entertainment space. The same goes with an extra bedroom, where you could easily put in a treadmill and a home office. Flooring options. Unfinished basements usually have concrete floors, which you can look at as a perfect subfloor to whatever material you choose for your workout space. There are plenty of great options to choose from to provide shock absorbancy and comfort during your workouts. Rubber tiles or rolls are often chosen for home gyms based on their durability and absorbancy. Other options include a low-pile, commercial grade carpet which is soft on the joints and easy to maintain, or wood floors with foam backing for a professional look. Ventilation. Make sure your space has a way to keep the air flowing so you don’t overheat when working out. Think about adding a ceiling fan or extra air vents to keep the air flowing during workouts. 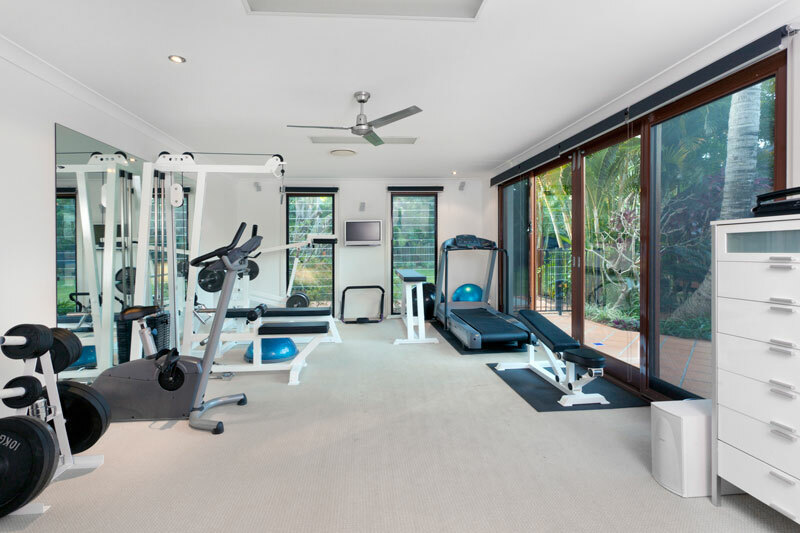 If you’re looking at creating a home gym, our team at Rothrock Building & Renovation can help. We have experience with remodeling and knowledge of materials that can help you create a space to inspire workouts and provide a convenient way to maintain good health from the comfort of your own home. 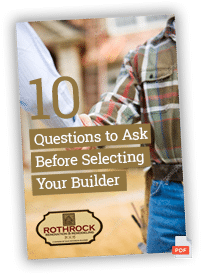 Call us today to schedule a consultation to talk about your own renovation plans. We can help you decide on the right amount of space and the perfect materials to make your home gym a place you’ll look forward to using.